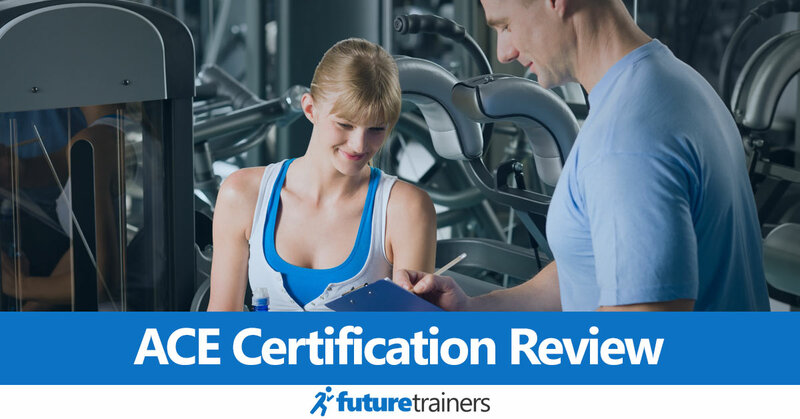 ACE Certification Review: Best Personal Training Cert in 2019? If you go into any gym and ask about fitness certifications, there’s a good chance they’ll mention ACE. There are over 50,000 certified ACE trainers and its popularity is probably only matched by NASM. How does the ACE personal trainer certification compare to other popular options though? Does it provide value for money? And is it the best choice for starting your career? Let’s find out in our ACE review. What is the “Integrated Fitness Training” Model? 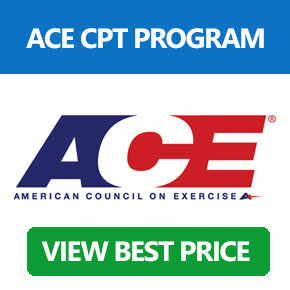 ACE provides a range of certifications for fitness professionals, but their CPT program is the most popular. It’s a highly respected and NCCA-accredited program, so it’s accepted in many gyms. As its core, the ACE personal training program aims to teach practical and science-backed skills for becoming a successful PT. This includes foundational knowledge of program creation, functional movement and nutrition. There are several prerequisites to take the ACE exam. You must be at least 18 years old, have completed high school (or equivalent level) and have a government-issued photo ID. You also need a current adult AED and CPR certificate. These must have included a live skill check, so you can’t take an online certificate. Note: ACE is a well-rounded certification that doesn’t focus on a specific area. This is great for beginners, as you’ll learn how to create programs for most clients. If you know you want to work in a clinical setting or with athletes, you may want to choose a CPT cert with a gearing towards these topics though. Let’s take a step back though. Who is behind ACE and why should you trust the organization? The American Council on Exercise was founded in 1985. At this time, most certifications were only recognized at a state level. The goal of ACE was to create a nationally accepted certification. When it debuted, ACE was called the “IDEA Foundation,” which stood for International Dance-Exercise Association. Its first certification aimed to standardize aerobic instruction. Since then, the organization has developed a range of certifications, including its popular personal training course. This is interesting information, but the key takeaway is that ACE has been around for a long time. It’s improved and refined its certifications over decades – and it certainly isn’t trying to make quick money by latching onto the growth in personal training. If you want a certification with an established reputation, ACE is a great choice. This is a smaller set of certifications than many organizations. ACE provides a range of other classes, specializations, workshops and webinars though, so there is plenty of chance to improve your skills or pursue a speciality. Examples include weight management, cancer exercise and various health and wellness topics (such as yoga or pilates). The ACE program is centered around its proprietary Integrated Fitness Training model. What does this mean for your learning and future career though? One of the keys to getting results for your clients is to provide individualized programs. It sounds obvious that a 55-year old person with arthritis is going to need a different program to a 20-year old amateur athlete, but designing effective programs for all clients isn’t always straightforward. For this reason, it’s vital for trainers – especially ones starting their career – to have a repeatable system. This system should be adaptable to a client’s needs and goals. That’s why the IFT model is so useful. It’s a tool to create custom programs that get results, while also building rapport with your clients. The model adapts to any fitness level, so you can help a diverse range of clients without feeling out of your depth. Function – The first stage focuses on creating a stable base for future training. You’ll also work on the client’s mobility and aerobic fitness. Movement – Now the client has a solid foundation, you can start to apply movement training to improve their functional skills. You’ll also continue to work on aerobic efficiency. Fitness - Once the client has improved their stability and applied it to functional movement, you can begin load and anaerobic-endurance training. How long it takes to get to this stage depends on the client’s initial level of fitness. Performance – The final stage continues functional movement and cardiovascular training, while adding performance and anaerobic-power exercises to the mix. Throughout these stages, the IFT model also teaches you how to build a strong rapport with your clients. This is essential for getting results – and is often overlooked by lower-quality certifications. The ability to build rapport is also important for client retention, so it’s vital for your success as a trainer. As you’ve probably guessed, I’m a big fan of the IFT model. Having a reliable system gives you more confidence when you work with your first clients. There’s nothing worse than a trainer who has a set routine they prescribe to every client! It also provides an excellent foundation you can expand on with future training and experience. You don’t need a degree to become an ACE certified personal trainer. While degrees in exercise science, kinesiology and related areas can be helpful – and will probably cut down your study time – they aren’t required. The ACE personal trainer certification is NCCA-accredited. This is the most widely recognized accreditation in the fitness world, which means ACE is accepted by more gyms than non-accredited certifications. Being NCCA-accredited means ACE has undergone a comprehensive evaluation – and this is repeated regularly to ensure standards don’t slip. Even though it’s NCCA-accredited, it’s still worth checking potential employers accept ACE. Many gyms look for trainers with an ACE certification, but some may prefer other certs (such as NASM - click for an in-depth comparison). In addition to its NCCA-accreditation, ACE is also accredited by the EuropeActive organization. This allows ACE Certified Personal Trainers to join the European Register of Exercise Professionals. Standard ($699) – This is the basic self-study program. The package includes the ACE Personal Trainer Manual and study companion, ACE Essential’s of Exercise Science for Fitness Professionals and the ACE Academy interactive study platform. You also get limited access to the resource center, which provides personalized assistance from study coaches. While the Standard program is the same price as the NASM equivalent, NASM doesn’t include any personalized assistance with their basic package, so this is an advantage of ACE. Premium ($799) – In addition to everything in the Standard package, the Premium option includes an expansion pack of downloadable activities and an extra course called “The Key to a Successful and Effective Client Consultation.” You also get comprehensive access to the resource center, which allows you to contact study coaches by phone or email. Premium Plus ($899) – The Premium Plus is ACE’s top package, and includes an extra course called the “3D Approach to Finding Nutritional Balance.” You also get access to a fitness math course and a retest voucher should you fail your first exam. While the packages are relatively pricey, I think they provide good value for money. ACE has excellent learning materials that serve as a reference throughout your career. The interactive study platform and resource center are also great for providing extra support while you’re learning. Which package should you choose though? The right option depends on your requirements, although I think the Premium plan provides the best value. If you want access to the Fitness Math, Client Consultation course and extra nutritional course, however, you’ll need Premium Plus. ACE also offers regular sales and discounts. These can be significant – I’ve seen the Premium Plus discounted by $300 at times – so if you’re on a tight budget keep an eye out for deals. There’s the option of paying for the exam only. This costs $399 and doesn’t provide access to any training materials. If you already have the materials, perhaps from a friend, then this is a cheaper option though. Note: You can purchase the study materials individually. The packages provide great value though, and are cheaper if you want several of the books and other materials. If you’re not sure when you’ll take your exam, it might be a good idea to purchase the materials separately, so the test voucher doesn’t expire. ACE Personal Trainer Manual (5th Edition)– This book contains a wide range of tools for personal trainers, along with details on coaching philosophy and behavior change advice. All the material is backed by the latest peer-reviewed science. ACE’s Essentials of Exercise Science for Fitness Professionals – This is the core text, and provides the foundational knowledge required to pass the ACE exam. It covers a range of topics, including anatomy, physiology and nutrition. Academy Elite Interactive Platform – Aside from its core textbooks, the ACE program includes an interactive study platform. This teaches via instructional videos, extra resources and additional articles. There is also a study blueprint which helps prevent overwhelm. Resource Center. The resource center is where you can ask questions to study coaches. You can also get reviews of your practice test scores and access to live Q&A sessions. Aside from the great study materials, ACE provides excellent support via email and phone. You can expect a response within 1-3 days, so don’t be afraid to contact study coaches for clarification or just for encouragement. Getting your practice exams reviewed is also helpful for speeding up the learning process. One thing that’s missing from ACE’s material is a dedicated course on running and marketing a PT business. Most programs don’t include this (although ISSA does), but it could be helpful if you’re planning to setup an independent business. ACE describes itself as the “leading non-profit exercise and health coach certification organization.” To achieve this, they set high standard for their trainers – so you shouldn’t expect an easy final exam. The exam is composed of 150 multiple-choice questions and takes three hours. Only 125 of the questions are scored, while the others are used by ACE to evaluate future exam questions. There are no essay questions on the test. What should you expect from the exam though? There are four broad categories of questions: Client Assessment, Program Design, Program Progression and Professional Responsibilities. All ACE exams largely focus on application of knowledge. Questions are designed to test your ability to problem solve and apply the IFT model when creating programs. There are also questions that focus recalling important facts, but these are the minority. The questions can be hard, so you’ll need a solid understanding of the main topics. You should focus on core concepts, including how the human body functions and basic anatomy, and aim to understand rather than just memorize. You should also know how health conditions, injuries and other factors can affect safe exercise routines. With that said, the ACE exam isn’t overly difficult and everything you need to know is included in the study materials. As long as you’ve dedicated time to studying, you should have a good chance of passing first time. You’ll need to answer around 90 questions correctly to pass. To give you an idea of the difficulty of the test, 68% of candidates passed the PT exam during 2016 (according to ACE’s candidate handbook). Note: There are over 500 exam locations in Canada and the USA, so you shouldn’t have trouble finding one that’s within travelling distance. The computer-based nature of the exam means you’ll get your results instantly. You aren't allowed to take phones or books into the exam, so there's no chance to cheat. ACE has a two-year recertification period. You’ll need to pay $129 for recertification, although the cost rises if you’re late. This is slightly more expensive than NASM which charges $99 every two years. During this two-year period, ACE also requires its certified personal trainers to complete 20 hours of CEUs (the equivalent of 2.0 continuing education credits or CECs). This is the same amount of CEUs as NASM. In addition to its courses and workshops, there’s the ACE symposium held each year. This is only for ACE trainers and is a great way to network and learn from experts. There are also external courses and workshops that may count towards your renewal CECs. ACE provides a list of approved external CECs, so make sure you check a course meets the organization’s standards. Note: Your CPR, AED and First Aid re-certification count towards your CECs (0.2 CEC each). As I mentioned earlier, the ACE program is slightly more expensive than other options, but the learning packages still provide great value for money. ACE is also accepted by a wide range of gyms and studios, so it’s a great choice for starting your career. At $699 for the Standard package, ACE compares favorably with NASM. While the training materials are similar, ACE provides email access to study coaches while this isn’t included in the basic NASM option. The exam-only option is one of the most expensive on the market though. The price of $399 is around $50 more than ACSM, although it’s cheaper than the $435 charged by NSCA for non-members. If you fail your initial exam, the retake cost is $200. This is more than ISSA and ACSM, but around the same as NASM. The Premium Plus package includes a free retake voucher though. The good news is that ACE offers regular discounts and promo codes on its learning material packages. If you’re willing to wait, you could get a significant discount. Note: The Premium Plus plan can also be purchased with free financing. This costs $149.75 for four payments and is a great way to get access to all the course materials without paying the full amount upfront. ACE is a popular and widely-recognized personal trainer certification. It’s accepted by plenty of gyms and studios, so it’s a great choice for starting your career. The NCCA-accreditation is also important, as some gyms only accept people with this type of certification. I always recommend contacting future employers and checking they accept a certification though. Many gyms are happy to accept an ACE certified personal trainer, but some want other certifications. To summarize this ACE review, the CPT program is an excellent choice for new trainers. I ranked it as #2 on my list of the best personal trainer certifications, but there isn’t much between ACE and NASM (which came first place). What makes ACE stand-out from the rest though? Firstly, it combines broad foundational knowledge with the helpful IFT model. This teaches you to create effective programs for almost any client. It’s also widely accepted, due to the NCCA-accreditation, and includes excellent learning materials. One of the things I like about ACE is that even the basic study package provides access to one-to-one feedback. The learning materials also come in a variety of formats, including text, video and live Q&As, which can be helpful for retaining important information. Additionally, ACE provides a wide range of future certifications and specializations. Aside from its additional NCCA-accredited certifications, there are also valuable specializations that allow you to improve your skills and provide services to a wider client base. Most importantly, ACE trainers are highly employable. If you’re looking for a great all-round certification to kick-start your career, you can’t go far wrong with ACE.